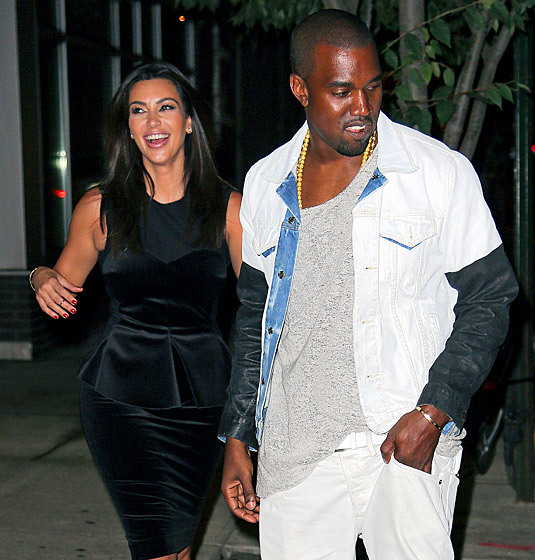 Kanye West was seen in his favorite ensemble – denim on denim – with his favorite accessory – Kim Kardashian – leaving The Book of Mormon in NYC on July 29. This entry was posted on Tuesday, July 31st, 2012 at 7:07 am	and tagged with Canadian Tuxedo, Denim, Denim on Denim, double denim, Fashion, Kanye West, Kim Kardashian, New York, The Book of Mormon and posted in In The Wild. You can follow any responses to this entry through the RSS 2.0 feed.